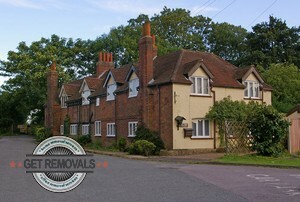 If you don’t feel too enthusiastic about your property removal and wish to delegate this tedious and time consuming project to qualified professionals, by all means do so by contacting Get Removals Leaves Green where you can find and choose from a wide range of general and specific removal services without the hefty price tag so common to other service providers. We offer a specialised packing service for extra protection of your items, optionally you can self-pack, and we will provide the necessary packing materials. In terms of cost, our removal solutions are more than well-priced and always give you the necessary cost efficiency. We go one better though and provide all customers with free of charge, no obligation quotes without any hidden fees, also fair and adequate pricing that actually corresponds to the specs of the job. The company offers great midweek discounts on all moving services. As we will expertly take care of the entire removal from start to end, you have more time and energy to do what you feel like. Perhaps Leaves Green is not the best place to kill a few hours while we deal with the heavy lifting, but the rest of the borough of Bromley can offer you a decent amount of sights and places of interest. Nevertheless, a few words about Leaves Green itself – the area is a village on the southern fringes of Greater London. Leaves Green is adjacent to one side of Biggin Hill Airport. The locale has a large village green still bearing one of those London Coal Tax Posts. Thee posts were used by the London Corporation in the eighteen hundreds in order to mark where coal transported by residents was due for a levy.